Meta-modelling (like UML profiles) using meta-packages. Executable modelling using the XOCL executable programming language (based on OCL). Language definition (both textual DSLs and graphical DSLs). XModeler is available under the Eclipse Public License and is available to download here (id: dev, password: dev123). 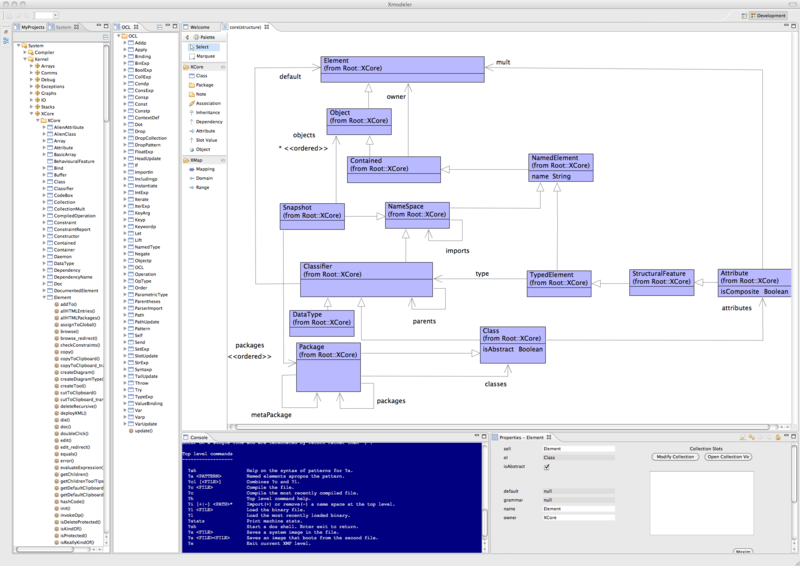 XModeler runs an embedded instance of the XMF language engine (the console window in blue above). 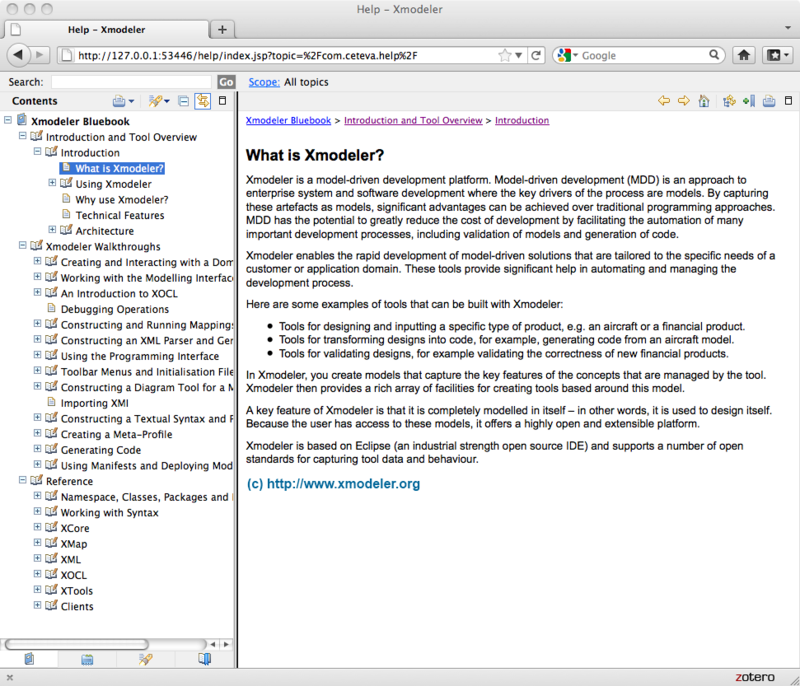 XModeler can also be used as an IDE for developing XMF applications so check out the XMF documentation too.